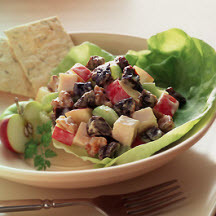 CooksRecipes has quality, kitchen-tested recipes for a large variety of colorful fruit salads that you can count on for successful deliciousness. Recipe courtesy of California Dried Plum Board. With just three ingredients, this delicious salad is a snap to make. 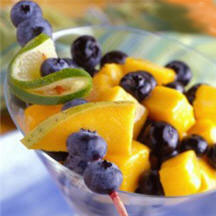 Spoon it into stemmed glasses and enjoy as a light fruit dessert, too. 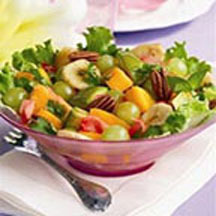 A colorful, fresh tropical fruit salad tossed with raspberry vinaigrette.